I’m always looking for unique gift ideas for the hostess. In my opinion, nothing speaks more unique than a handmade gift! And if the gift can also provide hours of fun at a party, well, I’d say that’s pretty awesome! 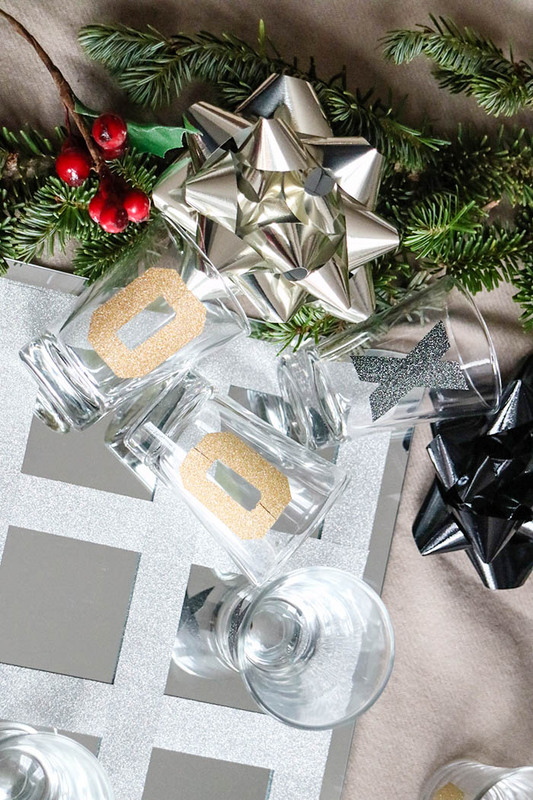 Seal-It challenged me to think of fabulous ways to use their revolutionary Glitter Tape for holiday gifts this season. Revolutionary, you ask?! Not lie other glitter tapes, Seal-It’s glitter does not flake off and can easily be torn by hand with no scissors which makes them the ideal companion for any holiday crafting or gifting project. 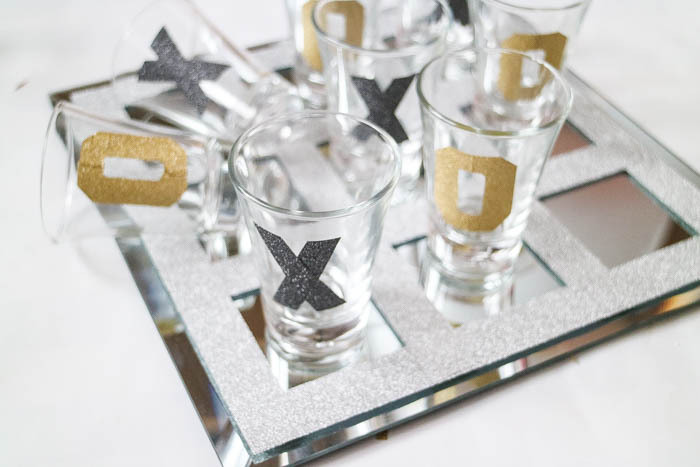 The little light bulb in my head lit up when I thought of creating this super cute Tic Tac Toe game gift set! 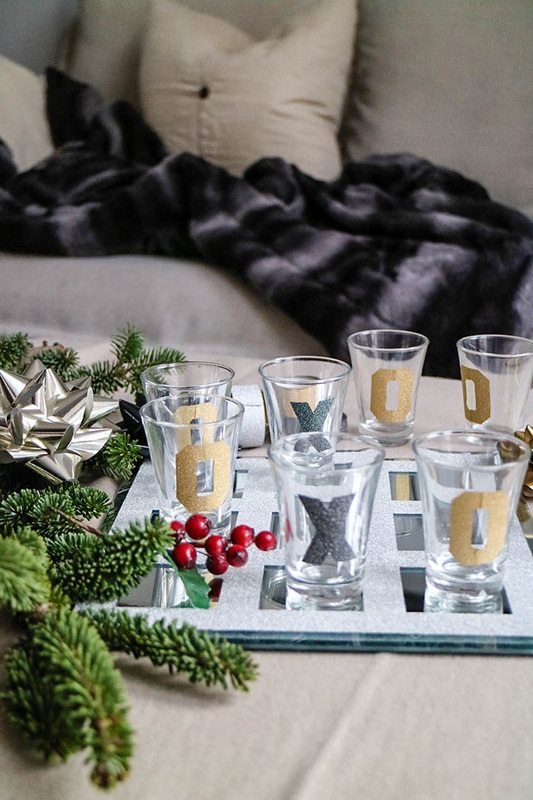 Read further to learn how to make this in time for the holidays! 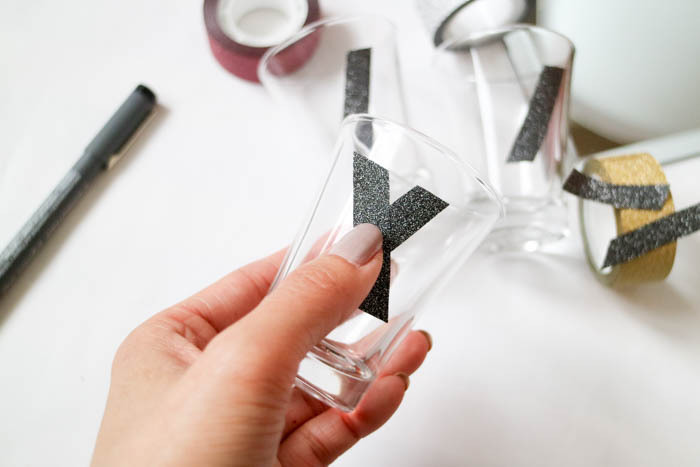 Cut glitter tape into strips to assemble “X” and “O” letters. I did this free hand, but you can also trace with a stencil. Note, the “O” were to pieces adjourned at the center fold. Assemble game and you’re all set to play or place into a gift box! Seal-It Glitter tape can stick to a variety of surfaces and materials. 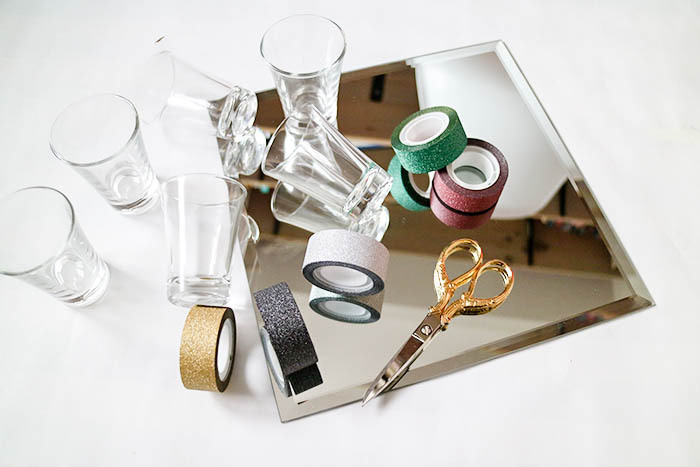 They worked well on glass surfaces, but you will need to replace the tape if you are planning to wash them after use. I’ve always wanted one of these Tic Tac Toe game sets, but if you search online, they can come in at a hefty price point. 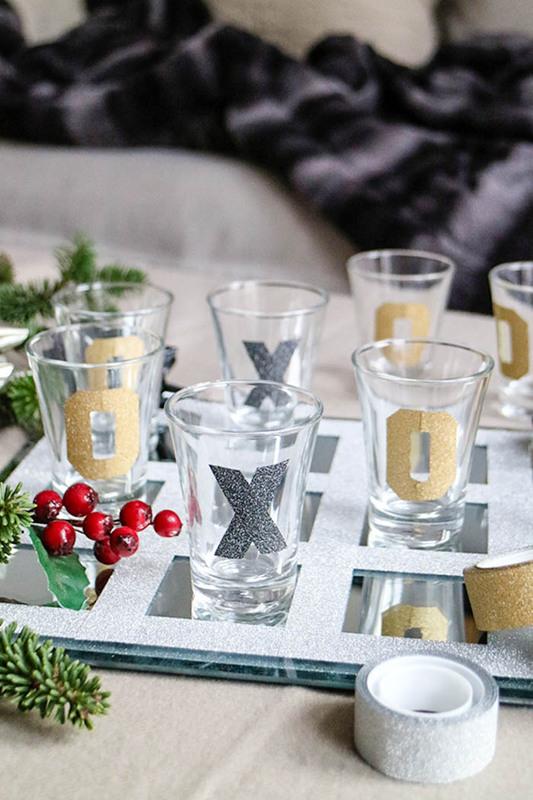 This nifty (and super easy) DIY cost me less than $20, and trust me, when you bring this to your next party, I guarantee it’ll bring everyone hours of fun! 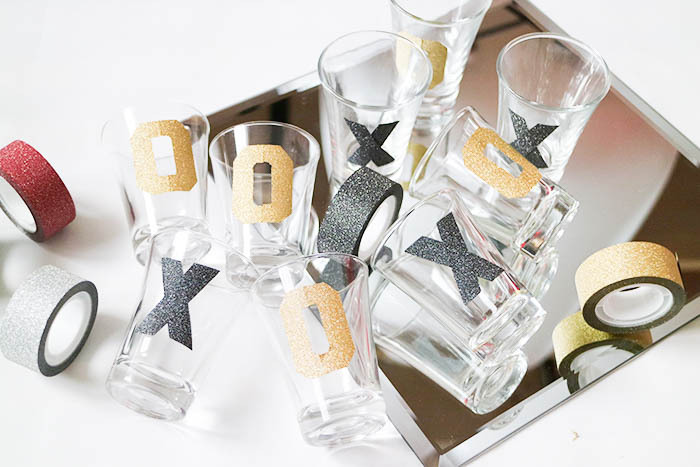 What other creative ways do you think Seal-It Glitter Tape can be used? I’d love to hear from you! Disclaimer: This post was sponsored by Seal-It, but all ideas and opinions were my own. Seal-It Glitter Tape is available in-stores at Shoppers Drug Mart and Sears Canada. 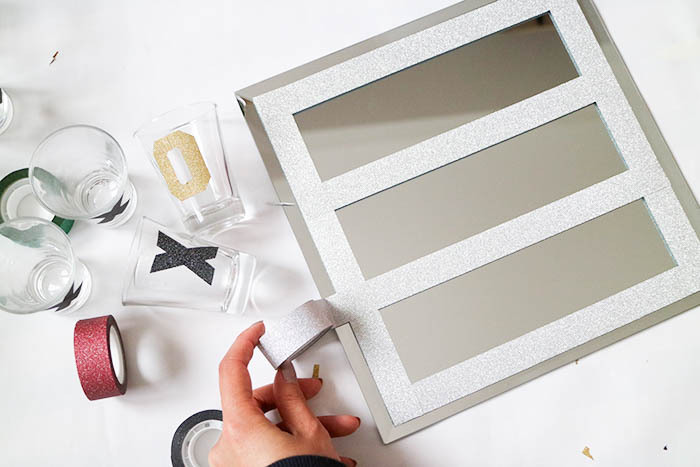 Follow along #SeatItWithGlitter on Instagram for more fun crafting projects!